Black Friday and Cyber Monday are right around the corner. With the prospect of fighting the crowds or waiting in line for hours only to find the item isn’t as advertised – or even worse, sold out – more and more consumers are opting to stay at home and shop online. Keep your devices up to date. Whether it’s your phone, your PC, your tablet or a laptop, make sure to check frequently for software updates. Security patches are often included in the updates and letting yourself fall behind puts you and your personal information at risk. Make sure you have strong passwords. Using the same password for everything may make it easy to remember but it also makes you vulnerable. Password managers like Dashlane, LastPass, or StickyPassword can help you keep track of multiple passwords and stay secure. Avoid using public computers wherever possible. Typing your passwords or credit card information into a computer at the library or another public location puts you at greater risk of identity theft. Also, use a cellular network or VPN rather than Wi-Fi for an added layer of security. Do your homework. If it’s a retailer you’re not familiar with, do a little research and check out previous customer reviews. There may be some bad mixed in with the good. Exclusively positive or overly enthusiastic reviews may be planted and not from actual customers. Do the math. Take the time to calculate the tax and shipping on top of the quoted purchase price. It may not be a deal if the shipping costs turn out to be excessive. You should also consider the potential cost if the item needs to be returned, particularly if you’re shopping overseas. I stopped shopping at several of my favorite online retailers while living in Canada because of the extra charges if the item had to pass through Customs. Look for “https://” in the browser. The “s” is the key – it indicates a secure browser. Sites may also include an image of a lock or use an icon called a trust indicator or security seal to show there is independent third party verification. Stay a step ahead. Actually, stay two steps ahead by using two-step verification to add an additional layer of protection beyond login and password information. Don’t store your card information on the retailer’s website. Although it is definitely more convenient to allow Amazon or The Gap to keep your card number on file, you decrease your risk of identity theft by entering it each time you make a purchase. Don’t share more than necessary. Often retailers will ask for additional information for their own marketing purposes. Only complete the required fields – there’s no need to offer any unnecessary information. Use payment methods with buyer protection. I prefer to use my debit card since it’s virtual cash, but many debit cards lack the buyer protection of a credit card if something goes wrong. Talk to your bank about single-use credit card numbers that are unique to each purchase. The number is tied to your original card, but a one-use number is generated for a single transaction. Be especially vigilant when using mobile devices. Turn off Bluetooth; use cellular data instead of Wi-Fi; make sure you set a password, pattern or PIN lock on your smartphone; and ensure your screen locks after a short period of inactivity to protect that personal information. Finally, don’t let down your guard. Let common sense be your guide: if a deal seems too good to be true, it probably is. 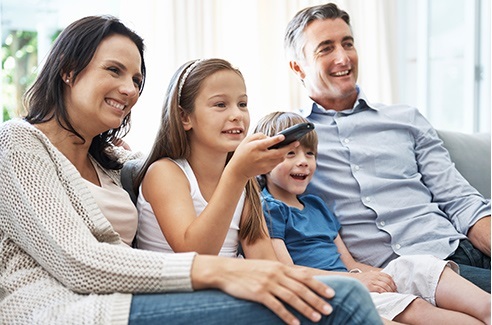 Join @TinaSeitzinger and the #FiOSPhilly team at 8 pm ET TODAY as we discover what a reliable Internet, fast connection speeds and great TV programming can do for you and your family! RSVP and attend the chat for a chance to win a Motorola Power Pack portable battery charger or a Kindle Fire HD 8 tablet! Just thinking about Thanksgiving dinner has me distracted and drooling. I love to plan and prepare the meal – entertaining family and friends is one of my greatest joys. Not everyone feels the same way – in fact for some it’s a source of stress and more like punishment than a celebration. Whether you’re energized by the opportunity to host or the thought gives you heart palpitations, these suggestions can help you put together a special dinner that will be memorable for all the right reasons. Finalize your guest list. 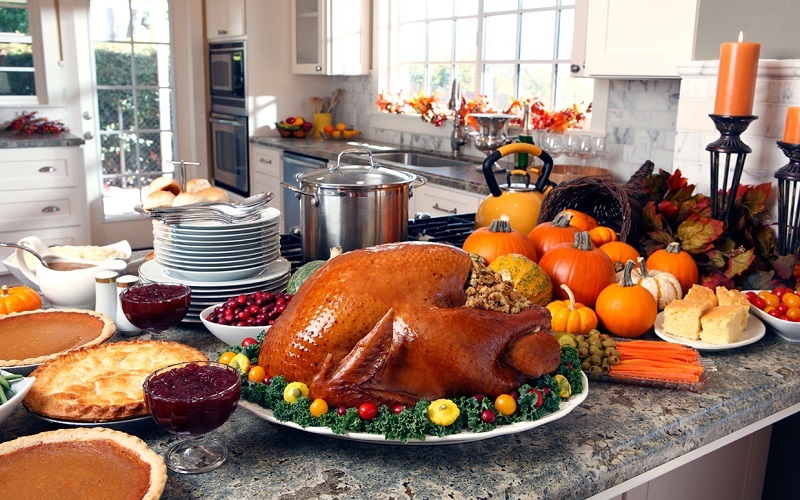 The number of guests will determine the size of the turkey but also the number of sides and desserts you’ll need. Plan your menu. Are you serving a casual buffet or a more formal dinner where guests will be seated around the table? Any allergies, sensitivities, or dietary restrictions? Look to sites like FoodNetwork, Epicurious, Food and Wine, or Southern Living for inspiration and menu planning suggestions. Take inventory of your supplies: Do you have a roast pan large enough for the turkey? A gravy boat? A corkscrew? Take stock of what you have, what you need and what you can ask your guest to provide. Delegate where possible. Not crafty? Ask someone to bring the centrepiece. Have a guest that hates to cook? They can bring plates, cutlery, or wine. Once you’ve set the menu, go step by step through those recipes and create a comprehensive shopping list of everything you’ll need. Divide your list into perishable and non-perishables. Decide on your décor. Of course Pinterest has a million and one options, but HGTV has great suggestions for simple Thanksgiving centrepieces, and Parents Magazine has fun crafts you can do with your kids. Start clearing out freezer and fridge space. Confirm your recipes. Ree Drummond’s site Pioneer Woman Cooks is a great resource for recipes that use pantry staples and ingredients you may already have on hand and Real Simple has dozens of options for easy-to-prepare recipes. Look at the menu and prep anything that can be made ahead and freeze it. – e.g. pie crust, bread dough, casseroles. Shop for non-perishable pantry items, décor and paper goods. Create your cooking schedule. Consider the turkey will be in the oven most of the day so think about how much oven time you’ll need for casseroles or desserts. Make a plan for leftovers. If you’re guests are staying over, think of ways you can re-purpose dishes to feed overnight guests. Pull out and wash any serving pieces that have been sitting in storage. Make ahead dishes like cranberry sauce, punch (minus carbonated soda or pop), stuffing, pie crust, bread dough. Prepare garnishes, chop vegetables for salads or sides. Take items out of the freezer and place in fridge to thaw. Get the turkey in the oven. Stick to your plan as much as possible but don’t panic if something goes wrong. The most important thing is to take a deep breath and enjoy your guests. Yes they’ve come for dinner but they’ve also come to see you. With a little planning and a little delegation, this could be your best Thanksgiving yet! Monday, November 23: Happy Thanksgiving from FiOS! Join @novsunflower and the #FiOSNY team at 8 pm ET TODAY as we look forward to Thanksgiving and celebrate better entertainment choices and the benefits of a fast and reliable Internet! RSVP and attend the chat for a chance to win a Motorola portable charger or an all-new Kindle Fire HD 8! Email RSVP@theonlinemom.com (subject line: FiOSNY) indicating your Twitter ID. Join us on TweetDeck or HootSuite (#FiOSNY) TODAY between 8:00 – 9:00 pm ET. Fellow parents, we are headed straight into “Are we there yet” season. Those four dreaded words can strike fear in our hearts; if we don’t do something and fast, we’re headed into potential epic complaining and meltdown territory! Have no fear. 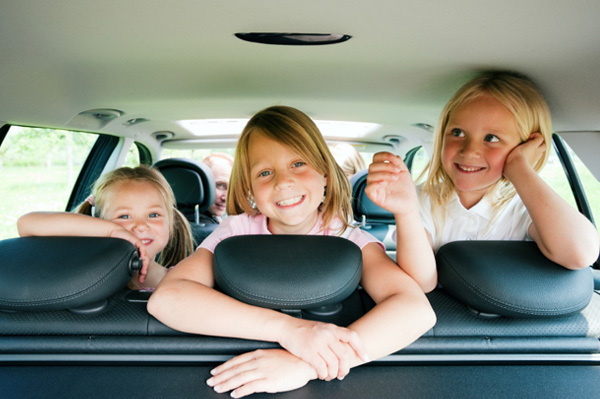 These road trip apps can avert the crisis and keep your kiddos – and even you – entertained though those long hours in the car. Who doesn’t love the Berenstain Bears? This interactive book lets kids personalize the story with their own narration, learn new vocabulary with tappable words and pictures and offers parental controls so kids can’t accidentally exit the book. 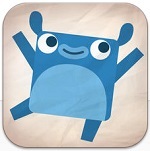 Sago consistently creates quality apps that “children love and parents trust”. 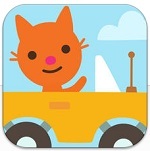 Mini Road Trip lets kids take Jinga the cat on a journey to six different destinations in her choice of ten vehicles including a shoe or pickle. It’s silly, fun and will keep your little one entertained for hours. There are no in-app purchases or third party ads, no rules or time restrictions so the only limit is your little one’s imagination. 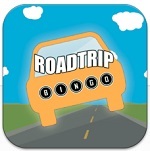 With nine different game boards ranging from food and restaurants to license plates, Road Trip Bingo provides enough customized game play options to keep your kids searching across several state lines. Best of all, it’s free! Using sophisticated graphics and clever wordplay, Endless Alphabet will keep your kids giggling and engaged for hours while building vocabulary and literacy skills. Each letter has its own voice and personality and instead of simple words like “cat”, Endless Alphabet challenges kids with words as complex as “gargantuan”. Kids decode words by dragging letters into place and once they’re spelled correctly, colorful cartoon monsters appear to define the word in hilarious ways. 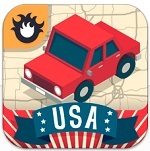 Allowing up to 4 players, Geography Drive USA let’s kids choose their cars and correct answers earn virtual cash so players can upgrade their vehicles as they go. Kids can stop by the Visitor’s Center in each state to look at a map and learn interesting trivia like landmarks and historical facts. The game offers over 600 American state and national geography trivia questions. The game is geared for ages 9-11 but parents will find themselves challenged and entertained as well. Based on the award winning storytelling game of the same name, Rory’s Story Cubes takes things one step further with digital interaction. The app comes with the “Original” and “Clues” set and in-app purchases allow you add more cube sets such as “Intergalactic”, “Enchanted” and “Prehistoria”. Players can shake and roll all or a single cube to create their story. With Stack the States kids will learn state capitals, shapes, geographic location, flags and more as they play the game. Each successfully completed level earns another random state and as players progress they can unlock four additional games. Fun sound effects and music accompany each challenge and will keep older kids engaged whether you’re driving through Delaware (first state to ratify the United States constitution – December 7, 1787) or Texas (The King Ranch in Texas is bigger than the state of Rhode Island). 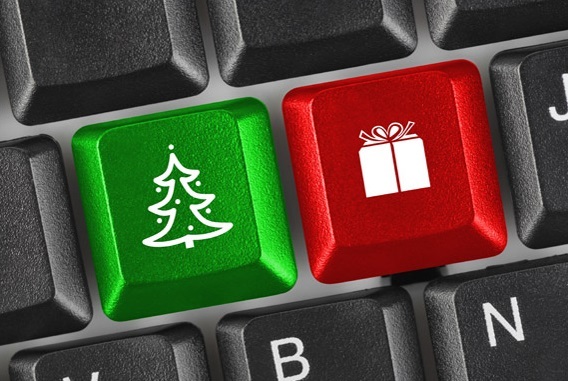 Join @RobynsWorld @TheTechDad @TheOnlineMom and friends at 3 pm ET (12 noon PT) TODAY as we chat about Holiday Tech! Still need a few last minute presents? Whether you are buying for kids or grandparents, there has never been a better time to give a little tech! Join us as we take a look at some of the great tech gifts that are still available this year – at prices that won’t bust your budget! RSVP and attend the party for a chance to win a Motorola Power Pack portable charger or a Droid Turbo 2 smartphone! Plus, join Monica Vila and her special guests on the Video Recap right after the chat for another chance to win a smartphone! Join @TheTechDad @RobynsWorld @TheOnlineMom and friends TODAY at 3 pm ET (12 noon PT) as we chat about How To Choose the Right Data Plan! With most carriers offering unlimited voice and text, finding the right smartphone plan is all about choosing the right amount of data. We examine the different ways that our smartphones and tablets consume data, and check out the tools that will help you find a plan that is perfect for your needs! RSVP and attend the party for a chance to win one of two Motorola Power Pack portable chargers or an HTC One M9 smartphone! Join @RobynsWorld @TheTechDad @TheOnlineMom and friends TODAY 4 at 3 pm ET (12 noon PT) as we chat about Traveling with Your Smartphone! Whether you’re watching a movie, checking on directions, or just taking a few selfies, your smartphone has become an indispensable travel companion. 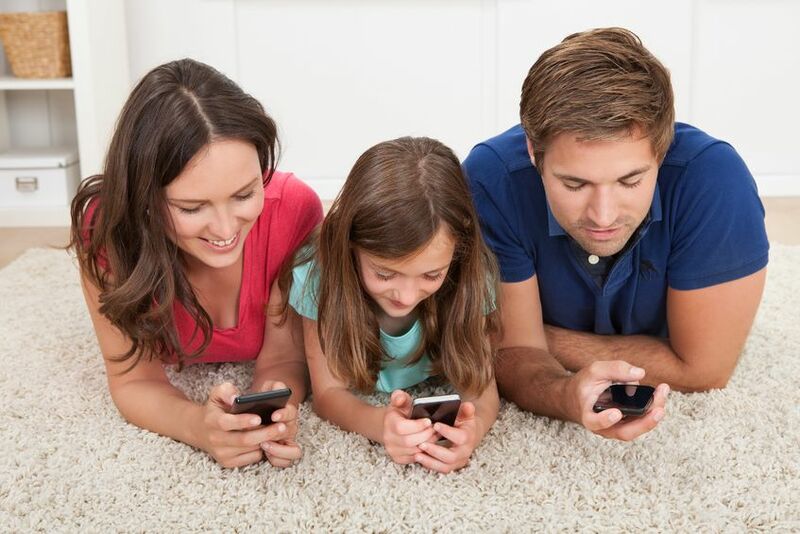 Join us as we look at the numerous ways mobile devices can add to the fun while you’re on the road and what you need to know before you take your smartphone overseas! RSVP and attend the party for a chance to win great one of two Motorola Power Pack portable chargers or a Droid Turbo 2 smartphone! Want to be happy? Start using Snapchat! It’s no surprise when I say that social media use can lead to dissatisfaction with your life and circumstances. All those carefully cultivated posts and photo-shopped images can make you feel like everyone else is living a Pinterest-y perfect life with well-behaved and perfectly groomed families that appear to have stepped off the set of a Disney movie. 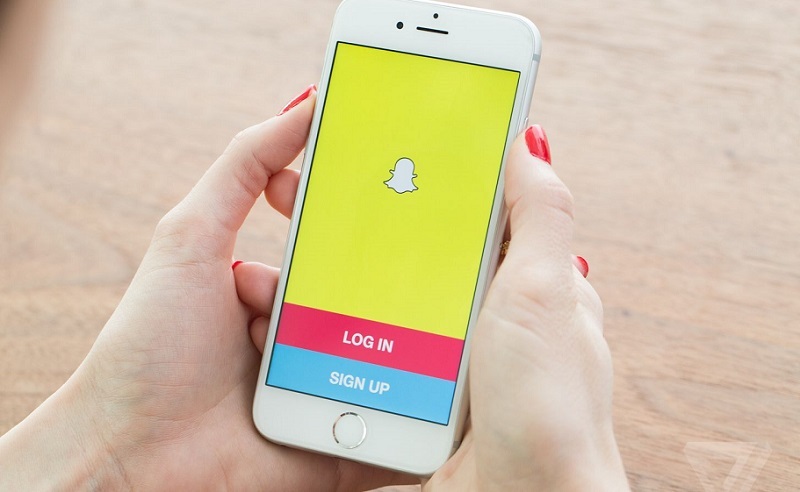 But according to a recent survey, there is one exception to the rule – Snapchat. Yes, Snapchat. Once dismissed by critics as a little more than a platform for sexting, a new study published in the journal Information, Communication & Society finds that when compared to Facebook, users felt more positive emotions after interaction on Snapchat. “On the surface, many people view Snapchat as ‘the sexting app’ but instead, we found that Snapchat is typically being used to communicate spontaneously with close friends in a new and often more enjoyable way,” said University of Michigan researcher Joseph Bayer, the study’s lead author. Researchers worked with 154 students to compile their data. Over a two week period, researchers would text students six times a day and students would then complete a survey about their latest social media interaction. Questions related to who students had interactions with, how supportive they were, and then measured their overall emotional response as a result of the interaction. Researchers discovered students felt more positive emotions after Snapchat vs. Facebook and they paid more attention to Snapchat. Participants reported Snapchat felt more like sitting down face to face – perhaps because like live conversation Snapchats last a moment and aren’t preserved for eternity. 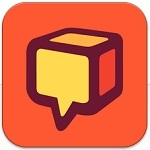 Of course, users can capture a screen grab of the image, but for the most part, the platform is used as a quick way to touch base, check in, or share a funny moment. Facebook on the other hand is built around the life that individuals want the world to see, not life as it actually is. And before we assume this dissatisfaction is the realm of teenagers, stop and consider that the majority of Facebook users are over 35. The people battling FOMO aren’t the teenagers who know what that acronym means; it’s us – their parents. Does that mean we should abandon Facebook and flock to Snapchat to be happy? Of course not and hopefully your contentment isn’t completely tied to social media. But if you’re looking for a quick emotional boost, Snapchat is a fun option.